Volunteer Ambassadors are needed to support the presence of the Leukemia & Lymphoma Society during the 2020 Walt Disney World Marathon Weekend at Walt Disney World Resort. 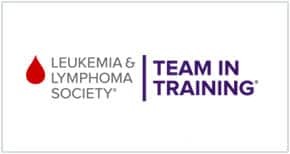 In honor of the event, runDisney is thrilled to make an independent donation to the Leukemia & Lymphoma Society. Your registration and participation will not affect the amount donated. With the support of thousands of volunteers and participants in the Leukemia & Lymphoma Society’s Team-In-Training program, the 2020 Walt Disney World Marathon Weekend will help blood cancer patients live better, longer lives. The Leukemia & Lymphoma Society(LLS) is the world’s largest nonprofit leading the fight against blood cancer. Since 1949, LLS has invested more than $1.2 billion in research, resulting in major cancer cure breakthroughs. In fact, the blood cancer treatments pioneered are now helping patients with other cancers and diseases. LLS is also the preeminent source for free education and patient support services, and is the voice for all blood cancer patients seeking access to affordable, quality, coordinated care. To learn more, visit www.lls.org. Volunteer Ambassadors are needed to support the presence of the Leukemia & Lymphoma Society during the 2020 Walt Disney World Marathon Weekend, presented by Cigna, at Walt Disney World® Resort. Advent Health will be providing complete medical coverage for the 2020 Walt Disney World Marathon Weekend. We invite you to be a part of the elite medical team that provides race support for 10,000+ participants. For opportunities that take place during the Expo and Kids Races, please wear comfortable, neutral-colored, appropriate-length shorts or pants (khakis preferred but no jeans, yoga or athletic pants) and comfortable closed-toe shoes (no sandals or flip flops). Volunteer Ambassador opportunities for the 2020 Walt Disney World Marathon Weekend, presented by Cigna, will be scheduled on a first-come, first-served basis. Schedules are always subject to change due to event needs. Volunteer Ambassadors who are scheduled for 2020 Walt Disney World Marathon Weekend events (except Race Prep) must pick up their volunteer credentials at the ESPN Wide World of Sports Complex on one of the days listed below or the Disney Sports Building during the Early Bird Pick-Up date. Check back to find out when registration opens and then sign up to be a Volunteer Ambassador during the 2020 Walt Disney World Marathon Weekend.